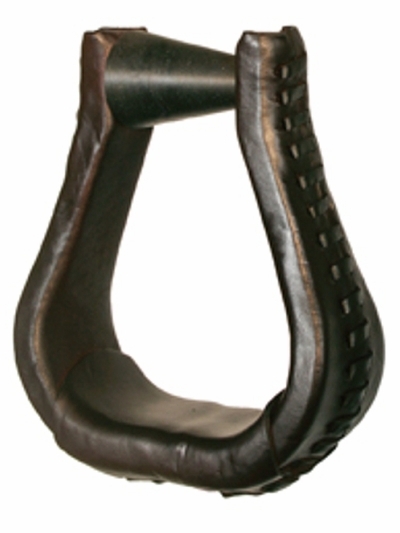 Ergo Balance Leather Laced western stirrups. The special angled nylon top bar helps place rider's feet in a level position for decreased knee and ankle fatigue. 2 1/2" tread bell bottom with 2 1/2" neck only. Black, brown or golden color. Sold in pairs.